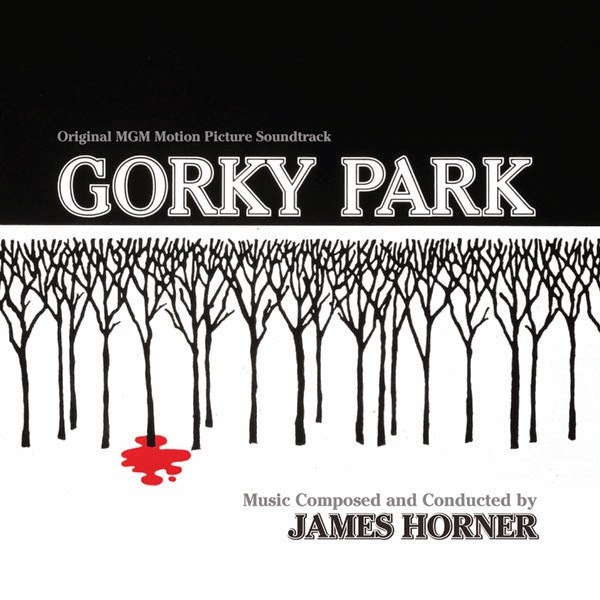 For the 1983 film Gorky Park, composer James Horner brilliantly blended orchestral and synthesized textures, wielding an impressive array of stringed instruments (including balalaika, mandolin, guitar, oud, harp and cimbalom), and featuring such distinctive textures as accordion, the piercing otherworldly tones of Nyle Steiner’s EVI (Electronic Valve Instrument) and the cavernous groanings of Craig Huxley’s Blaster Beam. The miasma introduced during the main title is both brooding and clamorous, evocative of the institutionalized corruption that follows. During the film’s frequent chase sequences the music shifts gears, becoming a churning machine that drives the action relentlessly forward. The contrast between agile drum kit, serving up a funky urban vibe, and a weighty motif in fortissimo low brass—a potent combination of unison trombone, contrabass trombone and tuba—is particularly striking. This material builds on Horner’s score for 48 Hrs. and anticipates later works such as Commando, although each of these retains a unique palette and energy. In stark contrast to the score’s bleaker and more corrosive elements is Horner’s theme for Irina, an aching minor-mode melody that emerges from a dreamlike mist of vibraphone and shimmering strings. To present James Horner’s complete music for Gorky Park, Intrada had access to the original recording session elements vaulted by MGM, including both 2? and ½? rolls of tape. Remixing was critical in that previous releases featured a unique anomaly. The array of gentle instruments such as the harp and vibraphone playing lengthy, exposed pianissimo passages (with long pauses built into the phrases) resulted in a noticeable degree of background noise, easily removed now, but not back in 1983 when the master was prepared. Perhaps in compensation, the original “stereo” mixes for these cues were essentially mono mix-downs with high strings (violins, violas) and low strings (cellos, basses) panned dead center. Some of the nuances— such as harp and vibraphone—were also focused in the center. The tracks played back with less noise, but lost almost all of their stereo separation as a result. With this new presentation, James Horner's score can be heard in beautiful, crisp stereo sound -- and the release features over twice as much music as the previous albums including additional music, alternates and film versions. When three faceless bodies are found in Moscow’s Gorky Park, the case falls into the lap of Arkady Renko (William Hurt). The detective attempts to ditch the case when his old KGB nemesis Pribluda (Rikki Fulton) begins sniffing around, but their mutual superior Iamskoy (Ian Bannen) insists that Renko follow the investigation wherever it may lead. But things grow complicated when he encounters William Kirwill (Brian Dennehy), a bullish American detective out for vengeance, and a beautiful dissident named Irina Asanova ( Joanna Pacula). 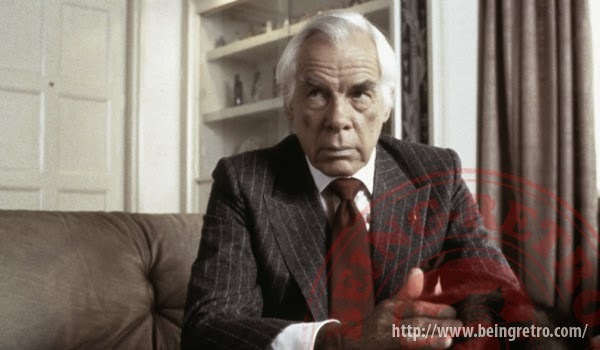 All roads converge on Jack Osborne (Lee Marvin), an American sable fur mogul whose powerful connections may prove to be the end of Renko.